The Supreme Court today has issued an order preventing Asok Pande, serial PIL litigant, from filing any new petitions until he pays cost of Rs.25,000 imposed by the Court on an earlier occasion for filing another PIL which was found to be frivolous. Asok Pande has a history of filing frivolous PILs, which have earned censures from the Allahabad High Court and Supreme Court on several instances. In his fresh PIL which came for admission on Friday, Pande had alleged that permitting only the Muslims to perform polygamy was discrimination on the ground of religion. The PIL sought a direction to the Centre either to declare polygamy by any citizen of India as "void" and make it a punishable offence under section 494 of the Indian Penal Code (IPC) or permit all citizens to perform polygamy as per their wish. When this came up for hearing, a bench headed by Justice Madan B Lokur reminded the advocate that he was imposed a cost of Rs 25,000 by the apex court recently for filing a plea and until he deposits that amount with the Supreme Court Legal Services Committee, his matter would not be heard. A bench of the apex court had on October 22 dismissed a PIL filed by Pande and had imposed the cost on him for seeking a direction that legal marriageable age for men should be brought down from 21 to 18 years. "Have you paid the cost," the bench, also comprising justices S A Nazeer and Deepak Gupta, asked the lawyer who said he would do it soon. The bench then said, "We will hear you only after you deposit the cost imposed on you." It also directed the apex court registry not to entertain any other petition filed by Pande until he pays the cost imposed by the October 22 order. ".... This court had imposed costs of Rs 25,000 on the petitioner by an order dated October 22, 2018. List this petition only after the costs are deposited. The registry is directed not to entertain any other petition until there is a proof of payment of costs," the bench said in its order. Asok Pande was the petitioner in the PIL which sought regulation of powers of CJI as ‘Master of Roster’, which was dismissed by the bench headed by then CJI Dipak Misra affirming the powers of CJI as an "institution in himself". Perturbed by the petitions filed by him, the Allahabad High Court had restrained him from entering the court premises for two years. 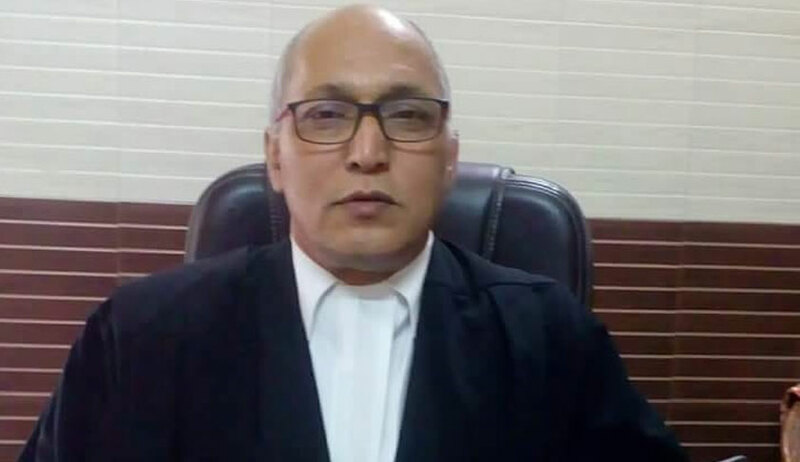 Contempt proceedings were initiated against him for imputing communal overtones to playing Sufi music and serving non-vegetarian food during the sesquicentennial celebrations of Allahabad High Court. This was following the dismissal of another petition filed by him which challenged the sesquicentennial celebrations on the ground that it glorified British rule. Justice DY Chandrachud, while serving as Chief Justice of Allahabad HC, had initiated contempt against Pande for making communal allegations against another sitting judge.